← Fraternal Charity in Community of Believers – Holy Father. Eugenio Giovanni Pacelli, supported him in his campaign. That friend later became Pope Pius XII. Hitler hated Dietrich because of the zeal and audacity with which he fought against his regime. Hitler and Dietrich ended up having a personal encounter. Thereafter, he sent for the assassination of Dietrich. 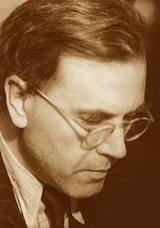 After being hunted across Europe, Dietrich von Hildebrand and his family narrowly managed to escape to the USA where Dietrich continued to write and denounce Hitler and the evils of Nazism. The “common source” Maritain was speaking about, of course, was the biblical heritage Jews and Christians shared, then under furious attack. Mussolini, Hitler and Stalin all wanted to annihilate it, one way or the other…………..
“The anti-Semitic clique in the Fascist party, headed by Roberto Farinacci, was shocked by the election of Cardinal Pacelli by unanimous vote in the third ballot, as the new Pope. His election is however a source of great satisfaction to Jews. Pope Pius XII is known as a staunch friend of Jews and on several occasions expressed his strong opposition to the persecution of Jews in Germany and Italy. In accordance with his instructions, as Papal Secretary to the late Pope Pius XI, distinguished Jewish visitors to the Vatican were served with kosher food. Known as a vigorous champion of the Vatican’s anti-Nazi policy, the anti-Semitic Fascists tried hard to prevent Cardinal Pacelli’s election. Their failure demonstrates the lack of influence of anti-Semites in the princes of the Catholic Church. Another notable attribute of Dietrich von Hildebrand are his scholarly works on purity, beauty and marriage, with themes that have subsequently influenced men of the likes of Karol Wojtyła – Pope John Paul II. This is a good analysis about totalitarian regimes. These disasters may well happen again in the West. Dr. Alice von Hildebrand did a brilliant lecture witn Father Benedict Groeschel on EWTN Channel recently.